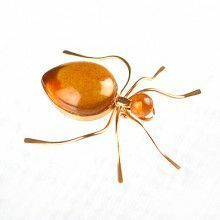 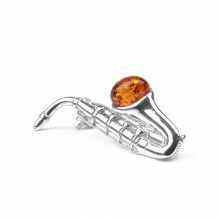 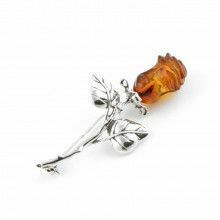 This timeless amber brooch/pin features one tear-drop shaped green amber stone that sparkles effortlessly. 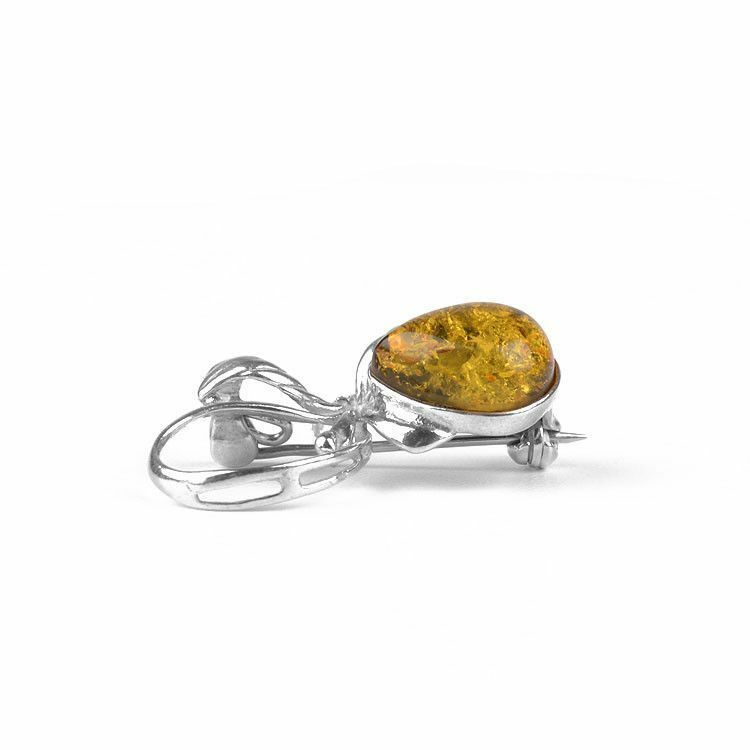 The 1/2" long green amber stone comes from the Baltic Sea regions in Russia. 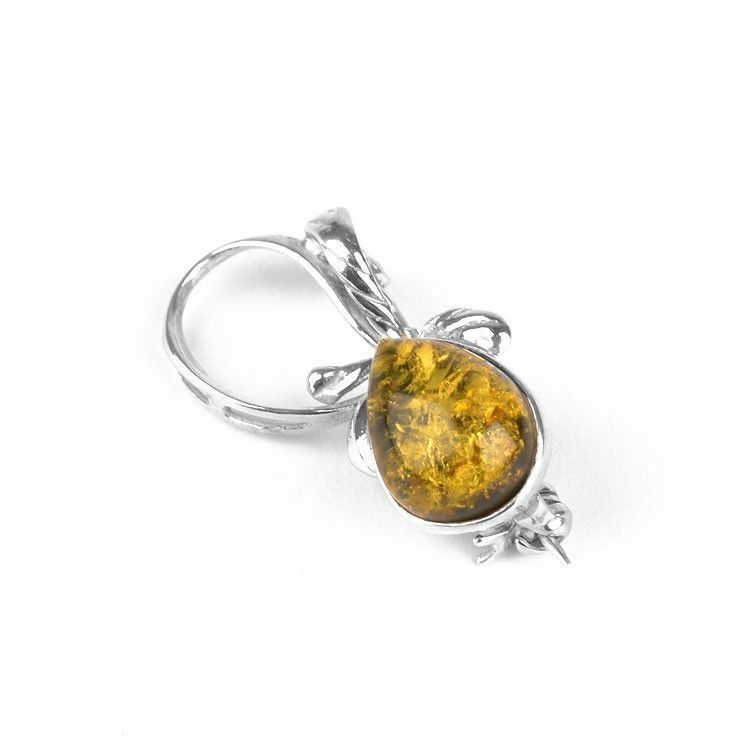 It has been set in a unique ribbon-like design of sterling silver. 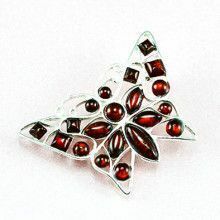 This is a lovely pin for just about anyone. 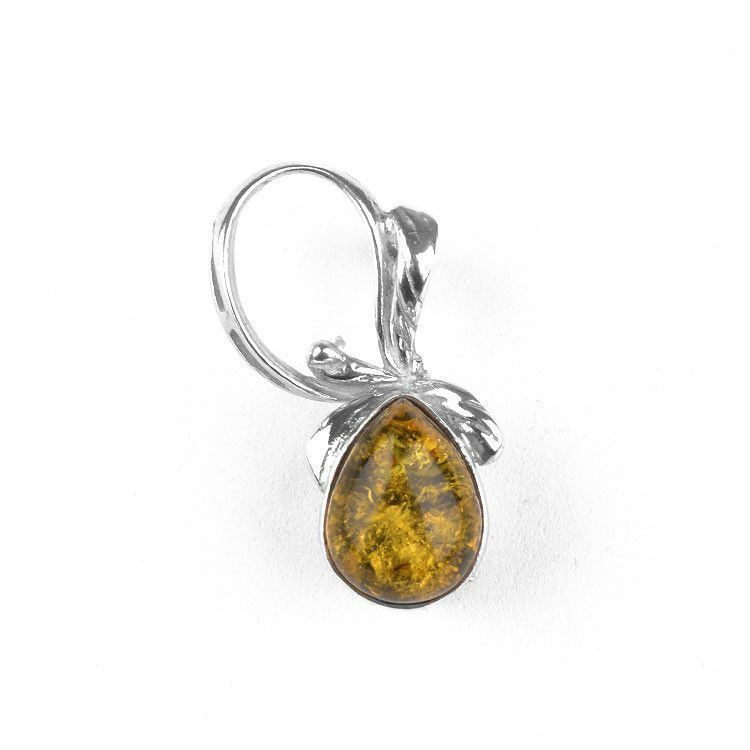 Green stone is about 1/2" x 3/8"